It’s fairly simple. Pick a venue, pick a night, and request a time slot. Tell your fans. Play. OK, maybe it’s not quite that simple. We offer you the ability to reserve a time slot up to 60 days before an event. That gives you time to prepare, promote and plan for a great show. We give 30-minute time slots for single or duo artists, and we give 60 minutes for any larger act (specialty shows may have different length time slots). It’s much more worthwhile to come out and bring your gear when you can plan ahead, and get a long set to showcase yourself or your band. Plus, we only have shows at venues who actually hire musicians, so if the venue loves your set, you could get hired for your own paying gig. All of our venues have hired from our open mic acts. More than 100 different acts have been hired from Open Stage Denver acts. You say I get 30 or 60 minutes, does that mean we play that whole time? No. You have 30 or 60 minutes for everything you need to do from getting on stage to getting off stage. So if it takes you 20 minutes to set up for your 60 minute set, and 10 minutes to get off stage, you will now play for 30 minutes. Once the host gives you the one-song warning, that’s it. If you didn’t get to play all of the songs you wanted to play, we are sorry, but you would be taking away from the next band’s set. We work very hard to make sure everyone gets to play at their scheduled time. Please be considerate of the other musicians playing that night. The best ways to get all of your music in is to have your gear unpacked, guitars tuned, simplified equipment set up, and quick sound check. Then get on and off the stage as quickly as you can. What if I want a longer set? We grant longer sets in special situations. If we have a big-name touring act come through, we will try to accommodate extra time if possible. If we have a late cancellation, we may offer you extra time. Or if you are bringing a large crowd of listeners, that you have planned well in advance, we will also try to accommodate you. We have one band who consistently brings 25-40 people whenever they play, which is usually twice a year. We have routinely doubled their set time. What kind of music is OK? All music is welcome. We ask only that at least one person on stage is playing an instrument. No karaoke or MCs with only tracks. There are plenty of other open mic nights for that. However we do ask you to use good judgment when it comes to picking a venue. If you play a style of music that is easily described as one that people either love or hate, be sure the venue you are signing up for is more likely to fall on the side of “love” instead of “hate”. If you have any concerns whether the music you play might be less than appropriate, please ask. If you would like to look into a specialty show for your specialty brand of music, send us a message. We will explore it with you. We provide the basic PA system: Speakers, amps, direct boxes, mixers, vocal microphones, instrument microphones, up to 24 channel mixing board and up to 4 monitors. We don’t always set all of this up, especially when we know we will only have smaller groups. We generally don’t provide a “back-line”, or drums, bass amp, guitar amps. We do not provide any instruments. You need to bring the guitar, guitar amp, bass, bass amp, keyboard, keyboard amp (if needed), drums, and percussion along with any other items we don’t provide. When we have multiple bands on the same night, many times the drummers will help with drum sharing. If you would like to volunteer your kit for other bands to use for the evening please let us know when you sign up. If not then we recommend that drummers set up their kits to the side of the stage before their set and wait to strike it until they take it off the stage. Please wrap cables and such on the side after your gear is off the stage. If you need help transferring your gear to the stage our hosts are happy to help. Can I bring my vocal processor, wireless mic setup, harmonizer, mixer, special microphone, lamp, lighting effects, fog machine, recording desk and reel-to-reel recording system? We are happy to accommodate special items if they are reasonable for the show. Remember that you time begins at the hour or half hour. 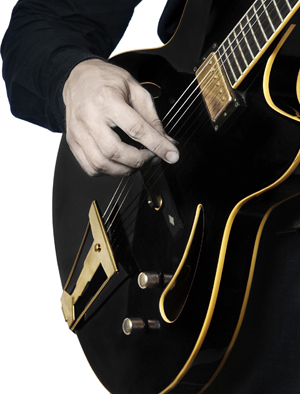 If we spend 15 minutes dialing in your effects that seriously affects your playing time. We recommend that you keep it simple and trust our hosts to mix you. We are definitely an advocate for the musician and will work hard to make sure your mix sounds good in the house and on stage. Leave the fog at home and bring your A game because if you sound good then we sound good. What if we want a sound-check ahead of time? That’s great! We would love to help you out. Just get in touch with the host for that night and let them know you want a sound-check in advance. That host should be happy to meet with you earlier in the evening to get you plugged in and levels set. When do we show up and load-in? If you are a single or duo act, with no drums or complicated setup, just try to get there at least a half hour before your scheduled set. We would love to have you there all night, to listen and help support the other performers, but it isn’t required. However, our best audience members are other players, so lend support where you can. If you have a band with drums or a complex setup, you should be at the venue in time to be completely setup no less than 30 minutes before the night begins. If you want to come in the afternoon, get setup, then go home and have dinner with the family before your set, that’s great. If you want further details about when the venue is available for load-in, get in touch with the host. If you have the ability to leave your larger items on stage until the night is over, that will help us to keep the show rolling. How do I get booked at the venue? The best way is to play well. If the venue owners, employees and customers think you’re great, you’re halfway there. If you have a lot of fans and followers, the venue will notice, and be even more likely to want you back for a paid gig. Bring your press kit, your CD and any other promotional items. Ask your host for an introduction to the owner or manager, be polite and offer your services. The owner or booking person is not always there, so get your info to the host and have them pass it on. Send Open Stage Denver your social media sites, website and connect with us online via ReverbNation, Facebook and Twitter, and do the same for the venue. If you were really good, the word will always make it back to the venue owner. Solo acts are usually the hardest to book, especially those who perform mostly original songs. We know you are good. We respect your music. And we love listening to your show. But the customers determine who plays. Getting on our network of musicians and venues is a great way to get noticed and get exposure. We will get your name out to our entire network and help you find gigs. Some of the artists who have been booked after performing at one of our open mic nights include: Paradyme, Sneaky Pete, Vivid Black, Tommy Freed, Billy Klee, In The Pocket, Union Gray, Bad Little Doggie, Riff Raff Rocks, Kenny Young, Ricky and the Radios, FTP Band, Faint Hearts Band, Badcyde, Jesse Abarca, Takashi Pit Crew, Bobbi Doran, So What Brothers, Flipside, Hoodoo U, Thumpin’, Richie Law (from American Idol), Third Bridge, Acoustic Eels, Fallen, Skin Deep, Souls Squared, Black and Blues Guys, Pretty Bullet Band, Radiant Chill, Big Green Carpet and others. This differs from one venue to the next. Any age is ok for performers, however, many venues have a cutoff time for anyone less than 21 to be inside with a parent or guardian. There are different rules for anyone under 21 who is in the bar after a certain time. Check with the venue for their rules. If you know when you are playing, and which venue you want, we will get a confirmation from the venue that you and your fans can be there. To make it easy, sign up for an early time slot if you or your fans are underage. Can I plug in my iPod/mp3 player/CD player/computer? Yes, each host should have an input for these players. We do not carry CD players or computers so be prepared with what you need. It’s a good idea to tell us in your reservation request that you need to plug something into our system. We do not allow karaoke-style performances. If you do not play an instrument, and the only music is coming prerecorded with you singing over it, this isn’t for you. One exception is hip-hop nights as most backing music is pre-recorded. May I sell my CDs/t-shirts or other promotional material? Absolutely. You may even accept tips. Promote yourself. We will promote you also. What if I don’t show up? Treat this as a public performance which you have scheduled in advance and promoted. If you could figure out a way to get there if it was your own show, this should be the same. In show business, the show must go on, so unless it is an emergency, or you are a risk to others as you are contagious, you should honor your commitment. If you don’t call or don’t show, we will not welcome you to any future events unless you are deceased. In that case, you are forgiven and you may come to all the events you want. We fill our schedule, then turn people away because we are full. If you save a spot for yourself, then you don’t use it, and someone else was turned away because of it you are hurting us and the venue. When you confirm your reservation, you are committing to the show. Please don’t take it lightly. If we stop accepting your reservations, you may come to the open mic nights on a standby basis. So if there is an open spot or someone else doesn’t show, you may take their place on a first-come, first-served basis. But if we are full, you will have to come back another time. Is there a sign-up sheet the night of the show? No, we do reservations for several reasons. We want you to know when you are going to be playing long enough ahead of time that you can promote your show to your friends, family, co-workers, etc. We give you longer sets so you can really showcase yourself. Our goal is to put artists and audiences together. There are lots of other open mic nights around town who can get you on a sign-up sheet, draw names from a hat, and you might get your 10-15 minutes at 11:30 at night. Or you might miss the cut and not make it on stage at all. What are you going to tell your fans who came to watch you? Sorry, guys, I really thought I would make it this time. Not with OSD. Reserve a month ahead. Plan your set. Promote your show. If you have ever played to an empty room, you know that you don’t get much energy or feedback from a wall. We want to have fun playing live music. Bring some people, stick around and watch the other acts. Clap. Cheer. Whistle. It’s way better with a group. If you show up without a reservation, we will get you on if there is an open slot. But there is no guaranty.